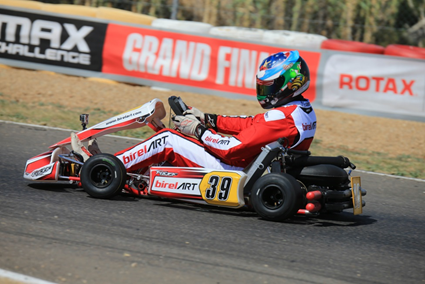 The Rotax Pro Tour National karting series heads to Puckapunyal in Victoria this weekend for its penultimate event with all drivers focused on the points ladder as the places for Team Australia at the Rotax MAX Challenge Grand Finals in November in Portugal will be close. The 14 places to the World Finals are still up for grabs in all categories with 2925 points per event still available to be scored, meaning some pressure will be applied to key competitors this weekend. 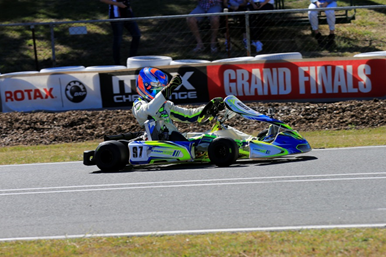 Victorian star, Brad Jenner heads to Puckapunyal as the man of the moment in Rotax Light. He has won three of the four rounds contested this year, leading the point score by 1417 points over Queenslander, Troy Morrissey. 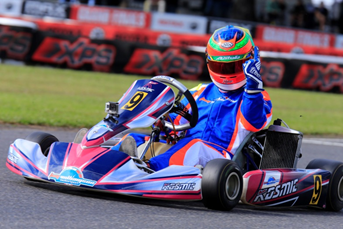 After last round’s dominance, FA Kart mounted Jenner will be looking to wrap up the Series and his seat to Portugal. Meantime, the battle for the other two seats in the World Finals will be a viewpoint of this weekend’s action. Occupying the third placing on points at the moment is the only driver to have snuck a win from Jenner in season 2017 – Kiwi Xero Accounting Kosmic pilot, Madeline Stewart. She has CompKart’s Cody Brewczynski and her TWM teammate Cameron Longmore breathing down her neck. 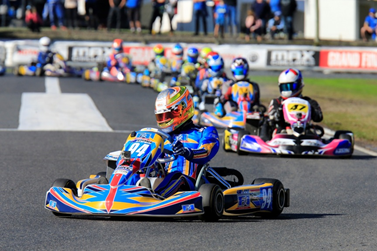 The chase for the three Junior Max places in the World Finals will heat up at an expected cold Puckapunyal as well. Harrison Hoey holds the advantage at the top of the points, with his last round combatant, Ryan Wood being separated by Jac Preston – who is looking to fight back after disappointment at the previous round. Upper Hutt (NZ) driver, Wood is under pressure from Broc Feeney and Jaiden Pope for the third position in points. Wollongong’s Cody Gillis is aiming to continue his march to the front of the DD2 field. Gillis has finished off the podium just once this season and took his TWM-backed entry to the top step at the last round in Coffs Harbour. He enjoyed a strong test session there last week. In the Series pointscore, mere points separate him and leader, Canberra’s Joshua Fife. Fife will be aiming to build on the two wins he has this season, whilst New South Wales’ Nathan Tigani is looking to strike back from a troubled last round to hold down his third placing on points. Being the feature category of this round, the top five qualifying shootout could prove an integral part of the weekend. The DD2 Masters category has been a terse battle right throughout the season and this weekend will be no different. Series leader, Troy Woolston is under pressure from Queenslander Scott Howard who took a stunning win at the last round. The advantage though is expected to go the way of Victorian Woolston with his experience at the venue, which is located around 90 minutes North of Melbourne’s CBD. Kris Walton holds third on points, however has Troy Bretherton breathing down his neck, whilst Terry Hanly – who is fifth on points will be keeping a close eye on what’s going on in front of him, looking to snare points and sneaking into Team Australia calculations. Walton – a former V8 Utes Champion – is again doing double duty this weekend. The Freem Racing CompKart driver is leading the points in Rotax Heavy, however his season long nemesis in the category, Chris Farkas will be looking to strike back this weekend. This weekend also represents the return of Queenslander, Lane Moore in the category. 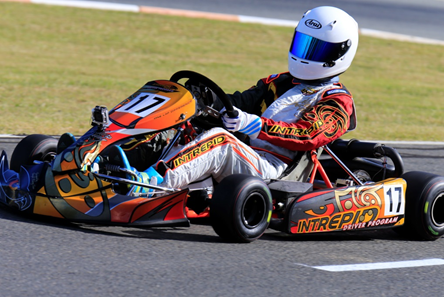 Team CRG Australia’s Moore was injured in a racing accident in April and the Rotax Pro Tour stalwart has been working hard to get back to fitness and will be sure to spice up the action this weekend. Shamick Racing’s James Wharton is well on the way to confirming his second successive Team Australia ticket in Mini Max. Last year’s Series Champion holds a commanding lead in the Series pointscore and on his home track this weekend will be tough to beat. Will Harper and Jack Westbury – who are his closest competitors for that position in Team Australia – will keep him honest throughout the weekend. Wharton’s Shamick Racing stablemate, Harry Arnett is aiming to keep his winning ways alive in Micro Max. Winning the last round at Coffs Harbour saw him open his points lead over New South Wales’ EVOKart driver, Jake Rutkowski. With one seat available to the World Finals in the category it will ensure the always entertaining youngsters will hit fever pitch this weekend. Macka Hazard and Kristian Janev will be doing their utmost to close the points gap with two rounds to go also. 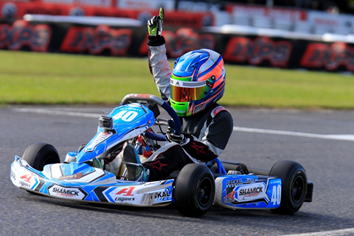 Harry Arnett (#40) leads the Micro Max category and is looking to secure the only seat to the Rotax Max Challenge Grand Finals in Portugal. 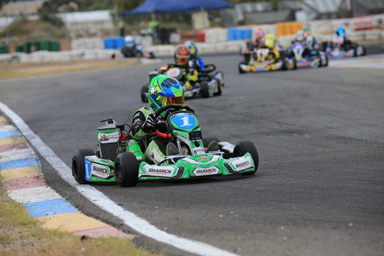 The Junior Max Trophy class is heating up with no less than four drivers in with a shot at securing the series lead. It is currently being lead by Russell Mayo, however this weekend, Series front runners Jonathon Marcusson and Angus Wallace are looking for strong performances, whilst Brayden Taylor – still in with a mathematical shot of winning the all-Intrepid control chassis Series will be in the mix as well. The action at Puckapunyal’s Eastern Lions Kart Club on Seymour-Tooborac Rd, Hilldene (Victoria) begins on Friday with practice. Qualifying and heat racing will take place Saturday with Pre-Finals and Finals on Sunday. Action starts at 8am each day and entry is free to the public. 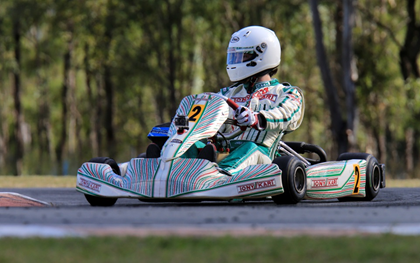 Action can be followed throughout the weekend at www.rotax.com.au or www.facebook.com/rotaxprotour.